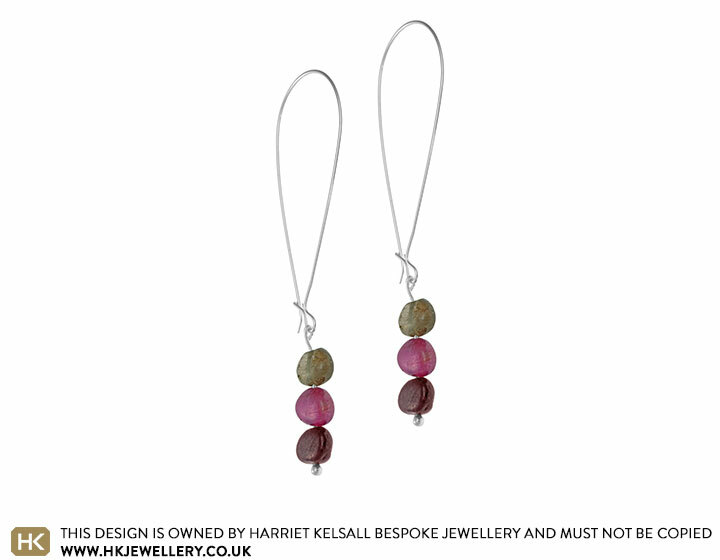 This pair of beautiful multi-coloured tourmaline earrings feature a drop of three polished tourmaline nuggets. The earthy tones of the tourmalines complement the organic shapes of the nuggets, which hang on sterling silver French hooks. The total drop of the earring measure 2 1/2” in length.